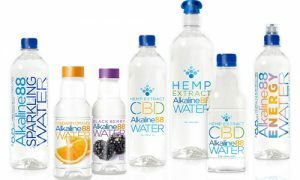 A premier company called Generex Biotechnology Corporation rolled out that it is going to develop and produce a new product called NuGenerex CBD HydroHealth High Alkaline Water. It will be doled out in connection with Puration. The CBD which will be used in the NuGenerex CBD HydroHealth product line shall be exclusively derived from industrial hemp. This will be extracted using a patented extraction process that will yield ultra-purified and characterized CBD formulations. GenerexBiotechnology Corporation plans to encash on Puration’s track record in creating, developing and marketing a successful line of CBD infused drinks in the sports nutrition market. As per the terms of the agreement, Puration will refine its patented extraction process to develop a proprietary CBD formulation for NuGenerex CBD HydroHealth Water. This will be sold as a therapeutic supplement for health maintenance. It will work in conditions in which CBD therapy has shown results and promise including, arthritis, chronic pain, epilepsy, generalized anxiety, cancer, and diabetes. The FDA has already approved a formulation of CBD called Epidiolex® for childhood epilepsy. What is Generex CBD HydroHealth Water? Generex CBD HydroHealth Water is the first in the line of planned product of NuGenerex CBD therapies. It manufactures products from alkaline water formulations to creams and salves for pain management. It will be marketed through their wholly-owned subsidiary NuGenerex Distribution Solutions. This agreement with Puration is the initial step in the development of a correct comprehensive strategy. Joseph Moscato who is the Generex President and CEO mentioned that subject to the testing of regulatory approvals they are targeting a million bottles in 2019. He said that given the network of pharmacies Generexowns, they are confident of achieving the million-bottle launch target. Puration technology is to be combined with Generex to launch the NuGenerex CBD HydroHealth Water. He mentioned that they are excited about Puration’s patented extraction technology. This will enable them to define CBD and cannabinoid content of hemp extracts and to develop proprietary, patented formulations for NuGenerex. Generex is a strategic, diversified healthcare holdings organization. This has multiple offerings in a variety of services, diagnostics, patient services, Health devices, and pharmaceutical development. Generex has a direct-to-patient services support for its strategy of all-inclusive access to doctors, diagnostics, therapeutics. It offers additional health-related services that will greatly improve the patient experience in receiving care.Generex has efficient management services that will remove administrative burdens in provider settings. This includes private hospital and practice that allows doctors to devote more time to patient care. The revenue from the subsidiaries will be efficiently used to support the clinical advancement of therapeutic products. It has a focus in immunotherapeutics which will stimulate an immune response from T helper cells.